Happy Friday! 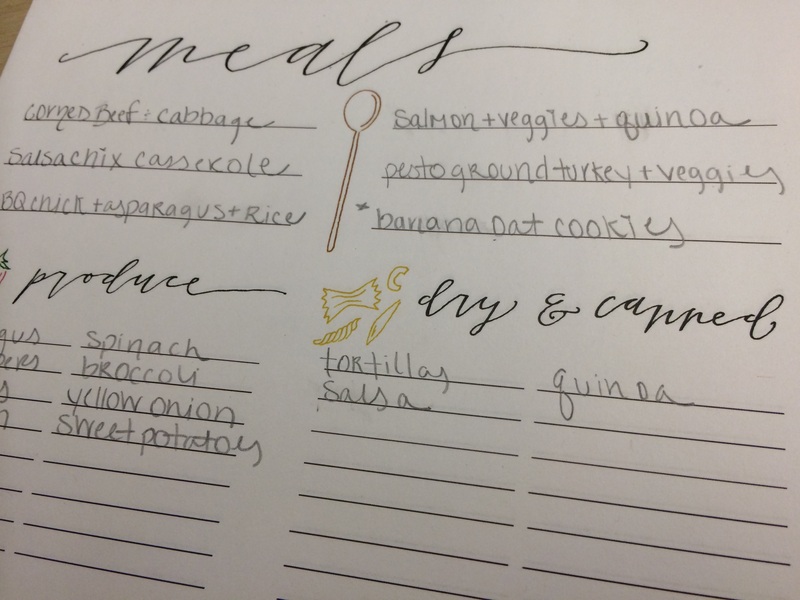 I am doing my meal planning at the end of the week because we went a little off schedule this week. I am so proud though because even though we had a few changes to our schedule I still managed to use the groceries I bought to cook every night. I am coming a long way! First a quick update on my path to greater health and fitness (and hopefully weight loss too). I started week 3 of T25 yesterday and I am feeling AMAZING. I have more energy than I have in a long time and I feel downright good. Granted a lot of this has to do with the fact that I have really cleaned up my eating and have been trying to eat as clean and whole as I can. I feel myself getting stronger and the work outs getting more manageable. I also squeezed in 2 runs this past weekend because I was feeling that good. I take my measurements tomorrow and I am hoping for a little success that will encourage me to keep working harder and harder. Sunday: Corned beef and cabbage because DUH. 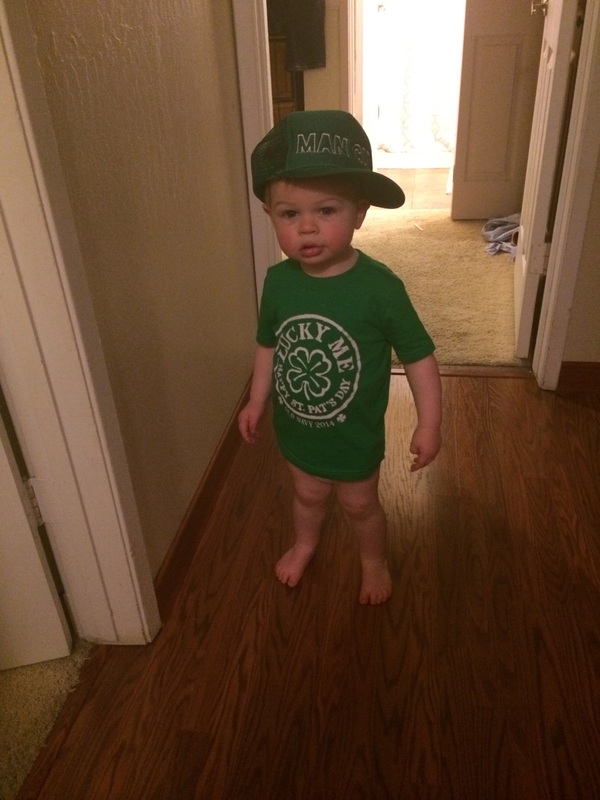 I am 100% Irish so naturally we had to celebrate in style. I cooked it in the crock pot along with carrots and potatoes. SJ loved it- that’s my boy! So this was a rework. I had originally planned to do salsa chicken tacos. I made the salsa chicken the crock pot (jar of salsa and a little taco seasoning). I felt like it didn’t come out with enough flavor to serve alone, so I put it into a Mexican enchilada casserole- boom. We were originally going to have lemon pepper chicken but the weather was so nice I asked my hubby to BBQ. 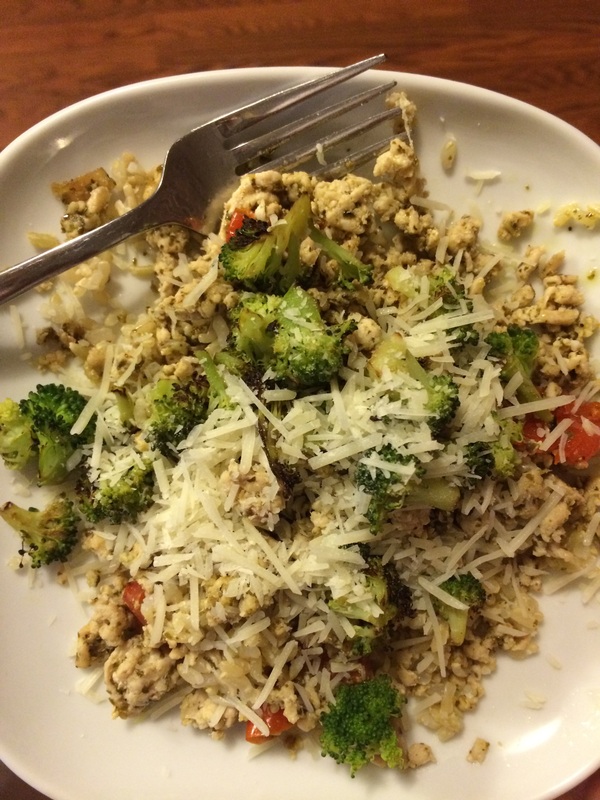 Thursday: Pesto ground turkey with tomatoes and broccoli. I made pesto pasta for the the boys and I had brown rice. This was by far the winner of the week in my opinion. It was SO GOOD. I just browned a little ground turkey with some salt, pepper, and garlic powder. I then stirred in some grape tomatoes and pesto sauce. I steamed some broccoli separately and then stirred it in. It was light, lean, and really yummy. Friday: NIGHT OFF. We will probably head out tonight to eat. I have been cooking on Saturday nights lately too so this lady needs a break. * Bonus meal: SJ and I made these banana oat cookies that were absolutely divine from my favorite Lauren at Eating Whole. They were easy and I even felt comfortable with SJ eating one for breakfast the next morning. Ain’t nothin’ wrong with that! 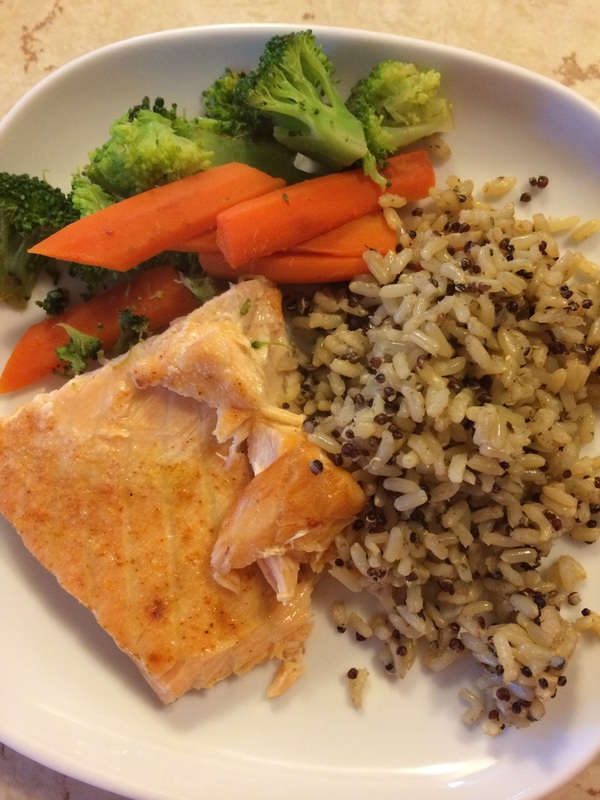 This entry was tagged meal planning, recipe. Bookmark the permalink.